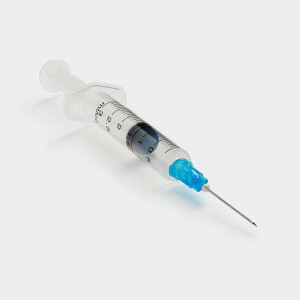 The San Luis Obispo County IWMA operates a FREE Home Generated Sharps Disposal Program. Dispose of used needles, syringes, lancets and other sharp objects in a free disposal container which is now available from area pharmacies. When the container is full, return it to the pharmacy and receive a new container. This service is free to households. Please no businesses. This program was established by San Luis Obispo County IWMA Ordinance No. 2008-2. New disposal option for California residents using Novo Nordisk medicines and needles! Click on your community to find a pharmacy near you. Do not throw needles or sharps in the trash in order to protect sanitation workers, trash haulers, friends and family from needle pricks. Needle pricks put them at risk of infection and injury. To dispose of needles and sharps, place them in sharps containers and bring them to a designated sharps disposal facility. All of the following must be disposed of as sharps waste: hypodermic needles, pen needles, intravenous needles, lancets and other devices that are used to break the skin of people and animals. Mail used sharps and pens back to the manufacturer of injectable pharmaceuticals. The following manufacturers accept sharps waste generated from their products: Cimzia® (UCB), Enbrel® (Amgen), Humera® (AbbVie), Neulasta® (Amgen), Novo Nordisk, Orencia® (Bristol-Myers) and Simponi® (Janssen Biotech, Inc.). Instead of dropping off unopened sharps at a disposal facility, consider taking them to a needle exchange program. Find the nearest program. Disposing of sharps isn’t always convenient. At the same time, sharps in the trash and recycling pose a huge health risk to sanitation workers. If workers come across a needle hidden in trash, they can get struck and have to wait up to a year to know if they’ve contracted a blood-borne virus, such as hepatitis B.